Over the next four days I am going to be in tabletop heaven, playing games at Gen Con and hopefully bringing home some amazing titles to share with my family and friends. Sadly I fear that this will be my last Gen Con, as I am getting older and am not sure I will be able to maintain hitting up two major conventions so close to each other. Whenever I prepare for Gen Con, I like to see what games should be worth checking out and possibly taking home. Here are my top 5 most anticipated games of Gen Con. 1. Sea Fall - Plaid Hat Games - Rob Daviau returns for his third legacy game and this one looks to build on the success of Risk Legacy and Pandemic Legacy season one. Players are attempting to rebuild seafaring technology to explore and find lost civilizations and more. The events from each play impact future plays so each gaming group's experience will be unique. Now only if I could get a consistent gaming group in Austin. 2. Mystic Vale - AEG - This title generated a lot of buzz at Origins and appears to be the first piece in a larger plan to introduce this unique mechanic to the gaming world. A card crafting game, players create custom cards throughout the game. Everyone starts with the same starting deck, and purchase enhancements to sleeve into their existing cards. I have had the chance to play this one and it is a lot of fun. 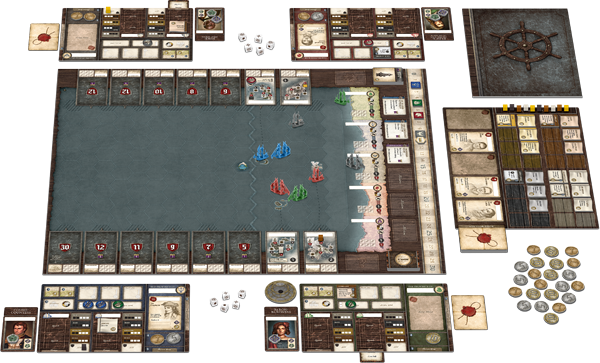 One of those games where you immediately want to play it again as you learn what combinations work well together. 3. Harry Potter Hogwarts Battle: A Cooperative Deck Building Game - USAOpoly -You had me at Harry Potter and cooperative. My kids are just starting to get into Harry Potter (they are on Prisoner of Azkaban!) and we love a good cooperative experience. Players assume the role of either Harry, Ron, Hermione, or Neville as they defend Hogwarts from a series of villains including He-who-must-not-be-named. Really looking forward to adding this to family game night. 4. T.I.M.E. Stories: Expedition Endurance - Asmodee - This game has quickly become a favorite for my wife and I and so far each expansion has offered a truly unique experience. While our success rate isn't the best, we always have fun exploring the locations and making group decisions as we attempt to solve the current mystery. Expedition Endurance puts you and your teammates in the an expedition to Antartica during World War I. Looks like a sailing mechanic might be used. Cannot wait. 5. 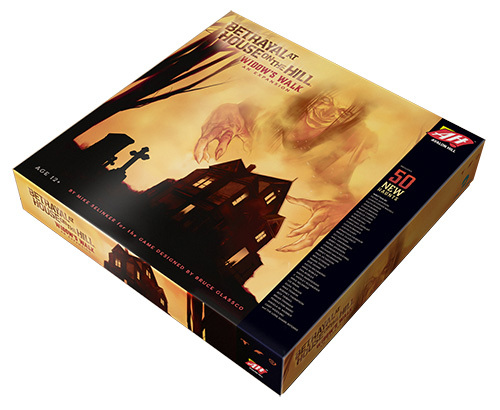 Betrayal at House on the Hill: Widow's Walk - Avalon Hill - Long overdue for an expansion, Betrayal is finally getting some new rooms, a new floor (the roof! ), and 50 new haunts. I haven't finished exploring the contents of the original game, but am chomping at the bit to see what the creators have come up with to enhance an already amazing title.